PAL Cards provide at-a-glance information about a resident's background and important preferences for daily life that can be used to spark conversation and build relationships between residents and staff. Can you really select a quality nursing home by reading Yelp reviews? In the January 2018 issue of Health Affairs, researchers from Yale University and the Scripps Gerontology Center at Miami University of Ohio published a study finding that AAA involvement in a broad variety of cross-sector collaborations with health care and social service organizations is associated with a reduction in hospital re-admission rates. 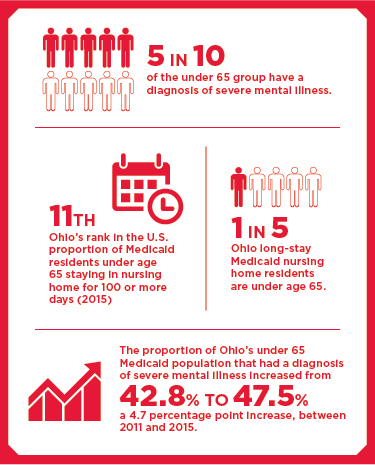 OXFORD, Ohio 	A new report from Miami Universitys Scripps Gerontology Center highlights a trend of individuals under age 65 using nursing homes in Ohio. Are you a cat person or a dog person? Your preferences matter to this academic and community research project. Miami Universitys board of trustees conferred the title of University Distinguished Professor to Suzanne Kunkel, effective July 1, 2017. To be selected for this award, a faculty member must demonstrate teaching excellence, be a contributor to the life and mission of Miami University, and be a distinguished scholar of national and international stature with demonstrated recognition and with a projected high-level of scholarly productivity in the future. As part of the rigorous selection process, recognized scholars outside Miami University submit letters affirming the nominees national and international reputation in his or her discipline. There are currently 10 Distinguished Professors at Miami. Dayton Daily News.com, Oct. 1 BUTLER COUNTY  The Butler County commissioners have a new five-year $3.8 million deal with the Council on Aging of Southwest Ohio to manage the Elderly Services Program.